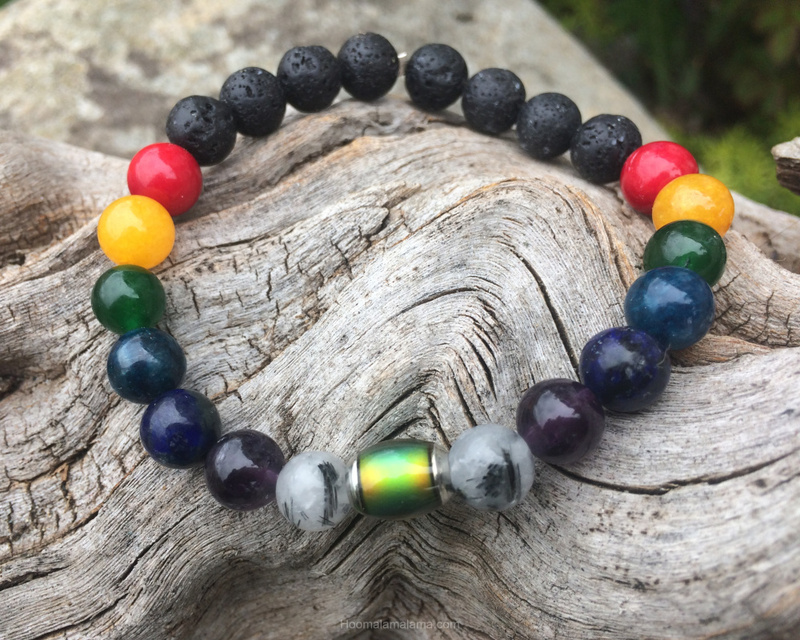 Mood Bead - The center bead changes color as you wear it, attracting good things to you. Strengthens from external invasion, turns negative to positive. Guardian stone that balances mood, encourages wisdom. Brings clarity & stimulates creativity, provides harmony & truth. The stone of manifestation, increases productivity on all levels. Attracting positive energy & friends while removing toxins. A rare stone to harness self sufficiency & achievement. Promotes peace, facilitates intuition & accelerates knowledge. Stability, a grounding stone offering guidance. Creation & flow. ​​Many of these precious stones are rare & should always be handled with care. There is so much "MANA" (strength) that we hope you will treasure it always. The joy that went into creating this piece can only be expressed in one word, ALOHA.